Summary: Straight from the opening scene of Indiana Jones and the Temple of Doom; features a minifig of Indy's kid sidekick Short Round. Summary: Two miners drill for orange crystals and meet a rock monster (made out of orange crystals, too) along the way. Are they friends? Are they enemies? Who owns the orange crystals? We'll let your kid's imagination sort out the ethical ambiguities (or not) and have fun with this toy regardless! 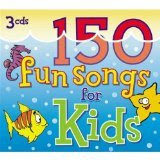 For a very limited time, AmazonMP3 is selling 150 Fun Songs For Kids for 99 cents. That's over 3 1/2 hours of traditional (at least for people born last century) children's music, as recorded by a usual choir of slightly off-key children's voices, to be enjoyed by your children or your inner child. Since it is the month of April, this gives shoppers enough time to buy our Guess Who Loves Mom design for Mother's Day (Sunday, May 10th, in many countries). Guess Who Loves Mom comes in either pink or cyan text on various items (shirts, coffee mugs, clocks, etc.) and in several colors. If anything, wearing a Guess Who Loves Mom shirt and/or giving a stuffed bear to your mom as a present are cute ways to supplement the holiday festivities.